It could be due to the nature of my past jobs, quite a number of people have asked me for assistance with their U.S colleges or grad schools' entrance applications. So I thought I'll write about it too, but it's your call whether or not to trust my academic advice below, hahaha, especially given my various stupid actions in the past, such as my toilet accident. 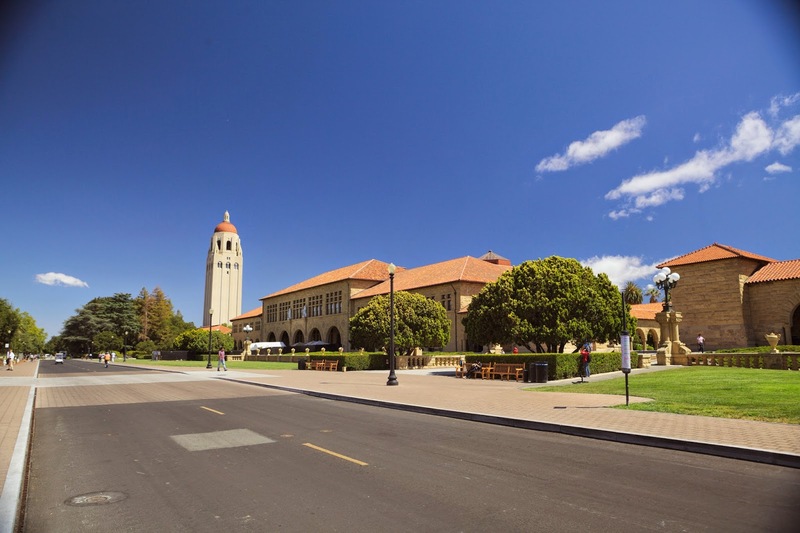 Well, just to credit myself a little to add some weight to this blog post, I did get into most of the top schools I applied to and I had the opportunity to work in an admission's office during my time at Stanford. However, please note that these are merely gathered from my personal experience and do consult your target schools' admissions for a more up-to-date and accurate information. How many times should I take the exam ? I only took the GRE and GMAT once. Not because I did specially well, but because I knew I tried my best and my score will not improve much the second time. My logic at that time - It's best to just have one average score and let the admissions have the benefit of the doubt that this might not be your best ability, than to have two average scores to prove to them that's really all you can do. Unless, of course, you really screwed up the first exam, and know for sure that your second try will show huge improvement, then take the test again. But don't take the test more than twice. Also, consult your schools regarding how they look at your exam scores. Some schools take the best score, some take the average, and some take the latest one. Make sure your final score will only make you look better. Otherwise, focus all those prepping time on something else. Usually, the application form only requires basic information such as you and your parents' name, address, birth date, country of origin, your education and work history, your relevant courses, GPA, and all that straight forward stuff. You may also include here your awards, achievements, volunteer work, extra curriculum, etc. I proofread my application form no less than 13984849493 times to make sure there is no typo and no stupid mistakes. I proofread them on the computer and I printed them out to proofread the hard copies. When I was working at the admissions, I was rather surprised to see tons of obvious typos and brainless errors that shouldn't be there. PROOFREAD. PROOFREAD. PROOFREAD. Relevant Courses : If you are applying to a certain major or department, and you don't have much super relevant courses, try to make them relevant by providing a couple sentences to describe what you have learned from those courses. For instance, if you are applying for a business related major but all you've taken is humanity courses, try to focus on your analytical and critical thinking skills. GPA : On most applications, there will be a place for you to provide any additional information you'd like the admissions staff to know. There usually is one of those box under the GPA page, and it is for you to explain an out of ordinary low grade. Most cases, DON'T EXPLAIN, unless you have concrete evidence to back up your reasoning, like an official doctor's note to explain an emergency. Otherwise, anything you try to say will sound like an excuse and it will reflect negatively back to you. If you have retaken that particular course, attach its transcript that shows a much higher grade as your only explanation. Not much to say here, but make sure you follow the school's instructions to submit these official transcripts. Order them from your school as early as they become available to avoid missing the deadlines. Is this important ? Yes, it is. Admissions pay quite a lot of attention to your official transcripts to see a list of relevant courses and their grades. This is also the place where admissions could see a pattern of your study habits/progress. If your GPA is relatively low, but your transcript shows a uphill progress, then your GPA might not matter much. If your GPA is high, but it's only high because of all the easy courses, then it says something about you too. However, there's nothing you can do to improve your official transcript at the point of applications, so just submit it before the deadline regardless. I personally think this is one of the most important piece of your application. Because this is the ONLY place you can truly show case who you are as a person, instead of letting grades and numbers represent you. In most graduate school applications, the only essay required is the SOP, in which you introduce yourself and your academic interest. In most undergraduate school applications, the application has one or more specific essay topics for you to write. Either way, revolve the topic around you, be confident, and PROOFREAD. While working at the admissions, I love reading people's SOPs and essays. Many of them are so beautifully written, some even made me tear! I spent the most effort on my essays too. To be honest, I think it really was my SOP that made me stand out against all the strong applicants. I wrote a couple drafts, and I needed to cut them shorter and shorter to obey the word limit. In the end, I eliminated all the fancy words, the meaningless decorative phrases, and left with just ME. My essay was just so personal and raw with my passion towards my field of interest, it brought me to tears too when read it, hahaha. My point is, try to show case who you are in your essay. Don't be afraid to use a bit of appropriate humor and creativity. Bring out your strong suit, emphasis on the achievements that couldn't be elaborated in the Application Form, but do not be repetitive. It is also very important to have a clear interest and direction, especially for graduate school applications. Write as though you are writing a personal letter to someone who genuinely wants to learn about you, so be genuine too. If I have to rank the importance of each item, I'll have to place this alongside with the essays. Some people place very little weight on recommendation letters as they think they can just ask anyone to write a generic positive letter, and that will do the trick. WRONG. Just like your essays, recommendation letter is another piece of important information that tells the admissions about you as a person within the social realm. It is very important for you to find someone that knows you well and for a decent amount of time, someone who is trust worthy, responsible, creditable, and is not reluctant to do this favor for you. I received recommendation letters from celebrities or political figures that the students had very little affliction with. Regardless who wrote the letters, if the contents don't say much about you, the letter is pointless. Do not try to use other people's fame to upgrade your application, silly move. The most creditable recommendations are those from your close professors, advisers, direct managers, or even best friends/roommates. Schools usually require 2 - 3 recommendation letters and when I applied for grad school, I gave all three to my college professors that I worked closely with for more than 2 - 3 years. These are the people I consulted with before I even started applying, these are the people who encouraged me to apply, who knew my academic passions, my ability, and my character. Find someone who can help you positively and relevantly. Give them more than enough time to write your letter and have the confidence to let these be confidential. I had a very simple resume when I applied to both college and graduate school because all I did outside of school was tutoring and some volunteering work. I did not have a gap between schools so there wasn't much I could contribute there. I know resume is extremely important when it comes to business school applications though. Provide everything ! I wouldn't say these are that crucial because I didn't have many to offer during my application. But it is definitely helpful to show that you are a well-rounded person. It helps to even include your piano levels, your sports involvements, etc. I think GPA is only important when relevant. Say you are applying to a humanities major, the department will pay less attention to your mathematical grades. But of course, a high GPA always looks pretty on the application form, it obviously shows your strong academic ability and proves you will also do well in your higher education. How many schools should I apply to ? And how to pick them ? If you are not 100% confident about your application but are 100% certain that you want to get a university/graduate degree, always apply for more than one school. I think I was panicking and applied to more than I needed. Six schools is a more reasonable number as you can have 2 in each. I got into to every school I applied for except for Harvard. Harvard's rejection letter was the first one I received and I started panicking again and applied to NYU last minute. You can also use the same strategy and apply to nine schools to have a higher acceptance chance. However, be aware that application fees are often around $100 per school, so it can accumulate into a significant cost if you apply to more schools. Also, the amount of time filling each application will multiply. Make sure you don't sacrifice the quality of your application for quantity. Lastly, it is also important to know that, having a graduate degree might not necessarily help you in your future endeavors. You should know exactly what your goals are and how will this extra degree assist you in achieving them. My mindset back then was, I knew an average graduate school degree will not help with my career path, so if I didn't get into the top schools I applied to, I will not get a graduate degree at all and step into the work force directly. Getting an extra degree without a clear goal in mind will only be a waste of time and money. Remember, a higher/extra education is not an escape or an easy way out from finding a job. Schooling may or may not be your thing, it is important to know what you are good at and what brings you passion. You can be very successful without much education as well. Oh, my weakness was an essay. I knew it for long time before the college. I started to improve my skills in writing. I ordered an professional essay here http://writing2me.com/ and tried to make something similar. Try to mention the research of the main subject, show different expert opinions if needed and explain your own viewpoint. Don’t forget about a conclusion, have a peek here to read the useful article. Admission is a kind of paper that doesn't forgive you in your mistakes so you should prepare first and only after careful examination of common admission essay mistakes read your own. Introduction and conclusion are must-have. If you know how to write a typical school essay and which sections have to be included you won’t have any problems with obtaining a high SAT score, have a peek at this to find more! MLA paper format is the layout and structure of the research essay or article written in the Modern Language Association (MLA) format. The paper format in MLA style has one-inch margins, double-spacing, the student's name, course name and number, and professor's name at the left header of the page with the student's last name and page number to its direct right. mla essay format. Click here for some useful advises about essay writing. There is the guidance you can use to help yourself with studying problems. Make sure you start using these tips at your high school have a peek at this web-site right here. University of California have 92 faculty members that are ready to share their knowledge. In addition, there are several favorable options in the field of healthcare career: adult/gerontology, family care, psychiatric and mental health, child and primary care. Click nurse programs to find more! Thanks for sharing such an informative blog post. Liked to read this post. I would like to share another one on graduate school statement of purpose format. Will gmat is still valid in today it is depend upon the situation? The best statement of purpose engineering management does not have to be in your discipline for you to be able to see this and how we showcase you in the graduate school statement of purpose format that we use. It is quite important sites for the students. There is a statement of purpose graduate school example for the students who have interest in it. The best way for you to make a great impression is by using an innovative and unique approach. The mba essay help online can directly communicate with the expert that is assigned onto your order. The low gpa for grad school requirements are out there and often it’s just a case of doing some research to find them. Good. My wide suggestion is choose your dream university before you start preparing for GRE and work hard towards getting into it. You definitely achieve it by taking many GRE Practice Test.